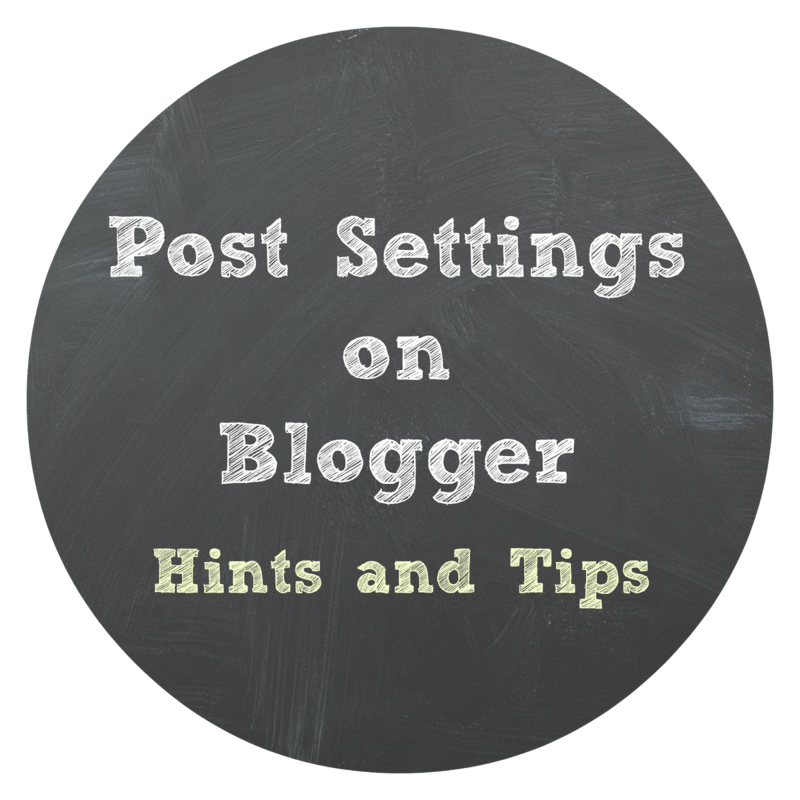 Do you regularly use your 'post settings' on blogger? Do you know what they are all for? Hopefully this post will help with a few of the basics. 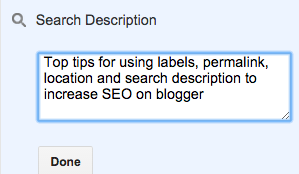 Labels are nothing to do with keywords that google searches for - they are mostly a way for you to organise your blog. I use my 'labels' as blog headers so my main labels would be '#LoveNorthEast', '#TravelTales', 'Dine', 'Explore', 'Stay'. 'Visit' and 'Contact'. Every time you posted a restaurant review you could label it with 'dine' and then when a reader clicks on your 'dine' label all of your restaurant review posts will show up there in one place. Personally, my blog isn't set up this way (as I prefer to have one post per label and then every month add my new links to that post) however it is a fab way to keep similar posts together. I can't believe I didn't start scheduling posts until the beginning of this year! It helps you to be a lot more organised to schedule future posts rather than keeping them in drafts until you are ready to hit publish. 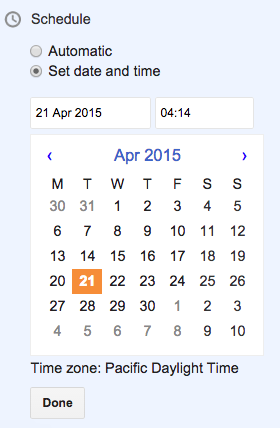 You just need to 'set date and time' and select the date and time you would like your post to publish. My blog is set in Pacific daylight time (I haven't got around to changing it yet) so I publish posts in the evening for 22:30 which is actually 6:30am GMT the following morning. There are times when I have to publish a post ASAP but I do mostly schedule now. 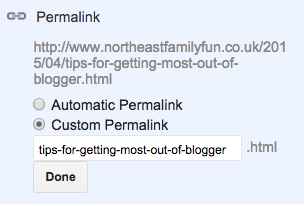 The Permalink is where you will find the URL of your blog - Your URL is important for SEO so try and edit it using 'custom link' to include keywords that will be picked up by google. 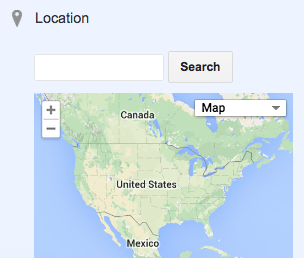 You can type in your blog posts location if this would be useful. For example if I have written a post about Cragside I would type the location 'Cragside' into the search bar and add this to my post. The advantage being that my post location would show up in feed readers, map apps, and search engines will associate my post with that location. This is also very important for SEO. If you leave this box blank, google will use the first few sentences from your post to summarise your post. It is far better for you to type your own brief description (less than 150 words) summarising your post. In terms of SEO, search description is the 4th most important factor (after post title, domain name and URL) that google uses to rank your post so if you get this right, it can have a huge influence on traffic. Make sure you write in sentences and include your post keywords. The search description is also used when you post your link on facebook. Then simply add an image title (this will be what is displayed next to your image in a google search) and the ALT text which is a little description of your image. This only takes a few minutes but is definitely worth it.